For decades, environmental activists have argued that environmental stewardship – especially in developing countries – is an international responsibility as well as a domestic one. The fact is that Ecuador is one of the most geographically and biographically diverse nations in the world, with specific ecological niches ranging from those of the volcanoes of the Galápagos Islands, páramos in the Saraguro highland region and the imposing, snowy peaks of Cotopaxi, visible on everyday bus rides from Quito to Cumbayá. These features allow Ecuador to boast a level of biodiversity in flora and fauna that rivals countries and regions thirty times its size. Starting in the 1972, the Andean nation began exporting oil by means of the U.S. international petroleum giant Chevron (now Chevron/Texaco), defendants in the notorious court case Aguinda v. Chevron/Texaco. Environmentalists in Ecuador unanimously argue that the company contaminated the historically indigenous lands of the Waorani and Shuar, which in turn so damaged the public health and ecological recuperative capacity to the extent that the affected area is now commonly referred to as the “Rainforest Chernobyl.” At this point, President Rafael Correa has taken the idea of international environmental stewardship to a new and dramatically higher level with his pioneering Yasuní-ITT initiative. Although initially his plan was met with enthusiasm by world leaders and conservation groups alike, recently Correa has acted loudly, if not irrationally and boorishly, as he threatens to go ahead and drill if financial contributions are not summarily made to his country. These actions have left Correa sounding more like a blackmailer than a saintly leader in environmental protection. Today Correa’s former admirers are falling over each other to escape from his embracing mantle. E.O. Wilson called the Ishpingo Tambococha Tiputini (ITT) region of Ecuador, “one of the most biodiverse places on earth,” and it would be difficult to find an ecologist who would disagree. Underneath the ITT land, oil prospectors estimate that 850 million barrels of heavy crude oil, or 20% of Ecuador’s oil reserves, remain untouched. According to the World Resource Institute, the Yasuní-ITT initiative will preserve “5 million hectares of biodiverse rainforests, protect 180,000 members of indigenous and Afro-Ecuadorian communities, and help put Ecuador on a more sustainable energy path.” During the summer of 2007, Correa first developed his brilliant initiative in which he would permit the entire region to be taken completely out of production, allowing the loss of potential economic gain as a result of extracting these reserves, and offset Ecuador’s lost income from such by receiving compensatory contributions from the international community. The initiative involving the Yasuní-ITT lands was an attempt at creating a cooperative model between developing countries, in this case Ecuador, and developed countries. 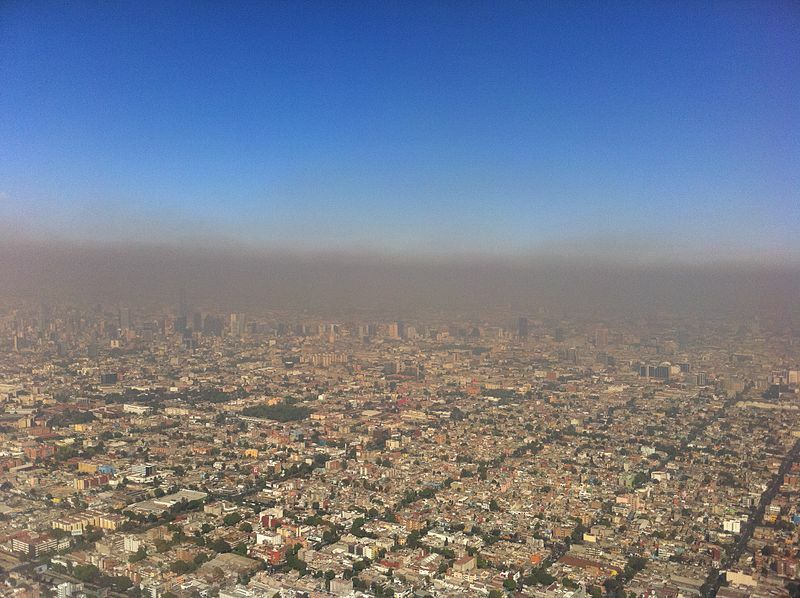 Concerning environmental policy, the experience has established that international negotiations can be especially difficult. Industrialized countries are generally the forerunners in developing strategies to combat climate change which may not be noticeably conducive to development in countries that did not industrialize at the same pace or tempo as has been the case in developed countries throughout the 20th century. From a realist’s perspective, each state has different priorities to attend to, as well as different interests to protect. However, issues such as climate change, deforestation and environmental contamination are global concerns which merit worldwide negotiations and solutions. The attempt to give the international community the opportunity to invest in preemptive environmental conservation utilizing an innovative, if not revolutionary, concept should not be minimized. Ecuador already has witnessed a strain on its energy supplies due to changes in precipitation. In Quito, rolling blackouts were common last year and even more recently in January after a long dry-spell provided only scarce rainfall. On January 18 of this year, 40% of the nation’s capital remained without power because of electric blackouts. All energy locally being used had to be routed to industrial areas. This creates a major security issue for Ecuador, as it will have to remain heavily dependent on Columbia for its electricity production if this trend continues. Change in rainfall patterns is not the only environmental modification that can be expected to have an impact on water production and general availability in Ecuador. An important but often overlooked consequence of climate change is the variation in glacial melting rates. As Quito relies on the glacial waters of Antisana and Cotopaxi for two-thirds of the water its population consumes, any change in glacial melting rates could affect the availability of consumable water supplies. –	Conservation: this initiative would protect 38% of Ecuadorian land from the harmful effects of petroleum extraction, including the home of the Tagaeri and Taromeanane people, who have chosen to remain in isolation. If Ecuador were ever to move to extract the oil, it would have to repay all of the money to the donors. –	Reforestation: management of one million hectares of forest on land that is susceptible to soil degradation. –	Increase in renewable energy: promote the use and development of hydro, geothermal, solar, wind, biomass, and tide power. According to a graph provided by the Ecuadorian government, approximately half of the funds would go towards financing renewable energy. –	Energy efficiency: help finance energy-efficient industry and residences. –	Social development: increased funding in health, education, training, technical assistance, and job creation (in industries such as ecotourism). Fander Falconí, Ecuador’s former Foreign Minister, stepped down in January after he and the panel led by Roque Sevilla (former mayor of Quito) who initially had helped developed the preservation fund, was harshly criticized by Correa, who denounced them as “infantile environmentalists.” Correa further criticized the board for allowing some of the countries to add conditions to the donations which, he insisted, would threaten Ecuador’s sovereignty. 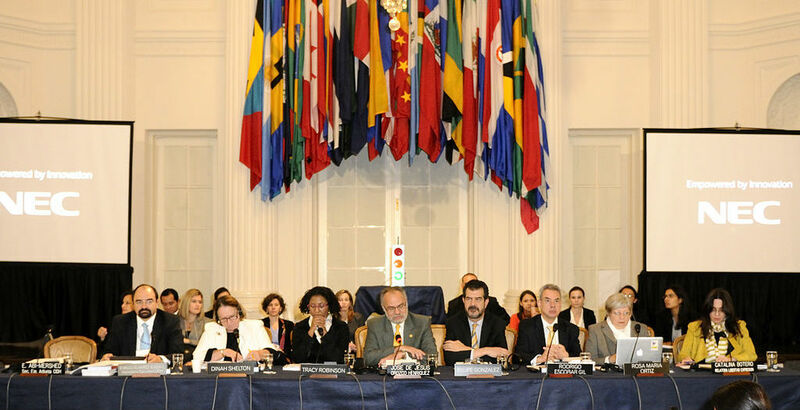 When asked to elaborate, government officials said: “Certain elements of omission rather than specific conditions embedded in the former draft text of the Fund were not acceptable to the Government of Ecuador.” Along with Falconí, this panel was charged with drafting the original proposal. Ansgar Sittmann, Third Secretary for Science, Technology and Environment in the German Embassy in Washington stated that “[before] any commitments can be made, Germany expects a concrete description of the intended measures with a clear outcome and a financial plan,” adding that the “success of the initiative can only be guaranteed with the support of multiple donors.” The UN Development Programme (UNDP) is to manage the funds if the Trust Fund is established. The proposed board in charge of overlooking the Trust Fund would consist of: three representatives of the Ecuadorian Government (with the tie-breaking vote belonging to Office of the President), two delegates from contributing countries, and one civil society delegate. The Secretary of the Board would be a representative from the UNDP, but would not have a vote. 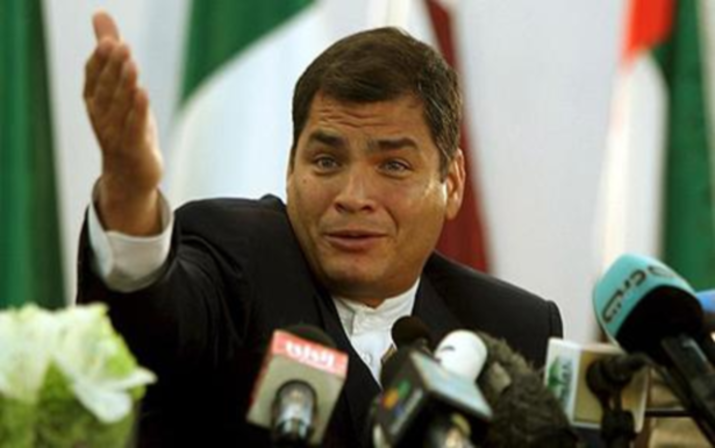 Correa is darkly accusing the developed countries of wanting to use their capital to gain influence in Ecuador. Countries rich in oil themselves may see contributing to the fund as an investment; the price of oil will inevitably increase as the remaining reserves are either exhausted or become increasingly difficult and costly to extract and refine. By ensuring that 20% of Ecuador’s oil will remain untouchable, the drilling regimen’s design will, in effect, tend to increase the retail price of the oil. What does remain unclear, though, is the process of reimbursement in case Ecuador decides later to drill in the Yasuní reserve. If countries and individuals who invest only receive their donations, without taking into account the interest or the value of the oil, it would seem impossible to keep the reserves sacrosanct for any length of time. Oil, without a doubt, will become more expensive as times passes, as the hydrocarbon becomes increasingly scarce as well as difficult to extract and process as the readily accessible deposits begin to play out. Logically speaking, contributions should reflect the flux in oil prices so it may be in Ecuador’s best interests not to drill in the immediate future. If Ecuador is able to drill after the agreement is signed, because it is in its best economic interest to do so due to the escalation in its oil prices, the Yasuní-ITT project will turn out to be useless and potential contributing agencies and countries will see no point in entering into any further economic involvement. Unless this process is made clearer to the public and to other potential contributing countries, Ecuador surely will fall short of the $250 million the Trust Fund will immediately need to become operational and self-maintaining. The Yasuní Initiative has represented a chance for the global community to contribute to efforts to halt drilling and reforestation in one of the most biodiverse areas of the world. Although many countries have rushed to “support” the goals of the initiative over the past two years, most supporters have not yet contributed financially to the fund, rendering the initiative all but useless. As of now, most countries are still waiting on Correa’s next move to see whether they will contribute to the fund. Quito must “implement the new policy commission and work on a project to formally submit to donors and potential partners,” stated a French diplomat, regarding the standstill. Hopefully, Ecuadorian representatives will be able to attract the domestic support they will need to implement the conservation project. Correa has threatened to have to resort to a “plan B,” if the initiative does fail, and has assured the international community he will not hesitate to drill. Drilling in the Yasuní-ITT area would not only be detrimental to the people of Ecuador and to the Tagaeri and Taromeanane people, but also to countries throughout the world who will suffer from extreme variation in rainfall, sea level rise, more robust natural disasters as well as other consequences of climate change. As always, countries will need to overlook their individual economic interests to reach a consensus that is redolent for the common welfare. Unfortunately, up to now, President Correa has not displayed the leadership qualities that can reassure the world communities that he has the breadth of vision and personal leadership to do the job.